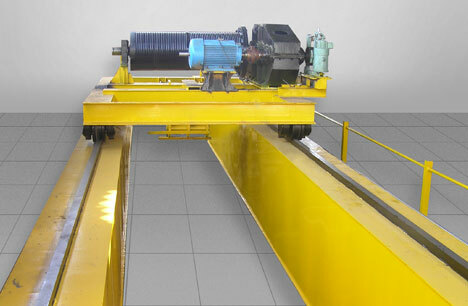 EAGLE Electric Overhead Traveling Cranes are designed in SINGLE and DOUBLE Girder to suit the application. These cranes are designed as per the various standards for different duty. These tailor made cranes are such designed that it gives trouble free operations as per the site conditions. Capacity : 500 Kgs. to 125,000 Kgs. and 250,000 kgs. in Tandem Operation.